1978 Starcraft 16 Bowrider This is a very clean Starcraft Bowrider 16 that was for historically used in Vermont in fresh water and trailered. The last three seasons it has been used in Ninigret Pond in Charlestown. 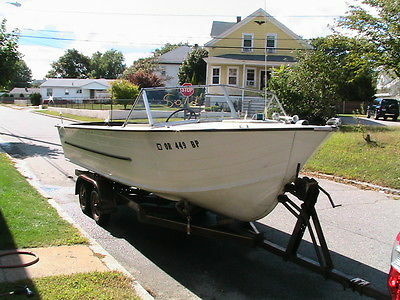 The boat is seaworthy and has lot's of room for 6 people, beach or clamming gear, no problem. New battery and new steering cable last year. The 2002 70 HP Suzuki runs beautifully,and is super quiet. 2 fuel tanks included with fuel filter as well. The motor has always been maintained annually. 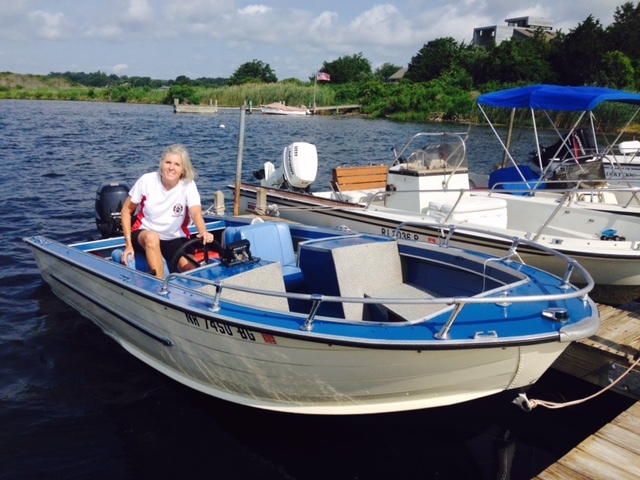 This boat is perfect for the salt ponds in Southern RI, and is easily trailerable. The 2012 Load-Rite Galvanized Bunk Trailer is in new condition and easily worth $1200 alone. Boat comes with custom made cover so you will never have to shrink wrap it. This boat really moves along and handles beautifully. Reason for selling is that I just purchased a 18 foot center console. This boat is priced to sell!! We can easily drop this boat in the water for a test ride for serious inquiries. 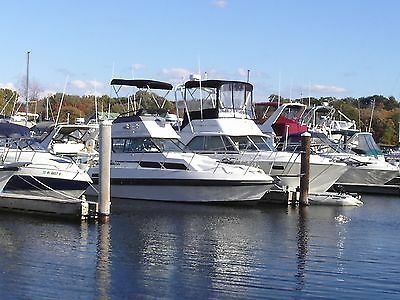 For Sale: 1988 Sportcraft sportfisherman offshore 300, 30-ft length, swim platform, windless (no winch), fly bridge, 8-ft beam, dual console, furuno radar, depth finder, dual cb, dual battery charger, hydraulic trim tabs, propane range, stove, 5-gallon hot water tank, sleeps 4, twin mercruisers 260-hp each with 425 hours, v-drive straight inboard, Bimini top and enclosure. Buyer responsible for shipping/hauling.